James Dwyer Matthews and Rocco Wright win at the Connachts! An amazing weekend of sunshine and sailing was had by all at the IODAI Connacht Championships last weekend in Lough Derg Yacht Club. We had over 100 sailors in main and regatta fleet sailing in the beautiful Lough Derg sunshine. The race officer did a great job to get 5 races in for Jnr fleet and 4 races in for senior fleet, in very shifty, light winds over the weekend. 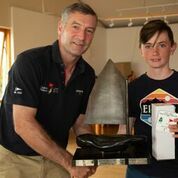 Top prize in the Senior Gold Fleet went to James Dwyer Matthews of RCYC & KYC and the top prize in Junior Fleet went to Rocco Wright of HYC &NYC. 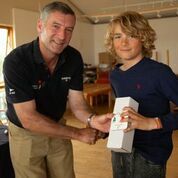 First place in the Regatta Fleet went to Ethan Hunt. A big Thank you to all in Lough Derg Yacht Club for hosting the Connachts and for your team of amazing volunteers, coaches and parents who really made the event so special for everyone. On Saturday evening team gear was presented to the Irish Under 12 Squad, who travel to represent Ireland at the British Nationals in early August and the Worlds Team, who will travel to Cyprus in late August to represent Ireland. We wish both teams and their coaches the very best of luck. We would encourage you enter as soon as possible. 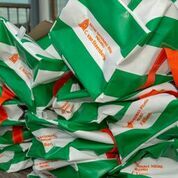 Photo Credits: Many thanks to Paul-Michel Ledoux for all the photos from the event.